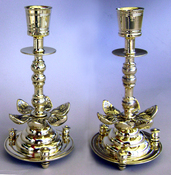 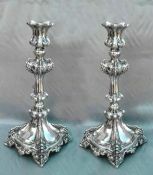 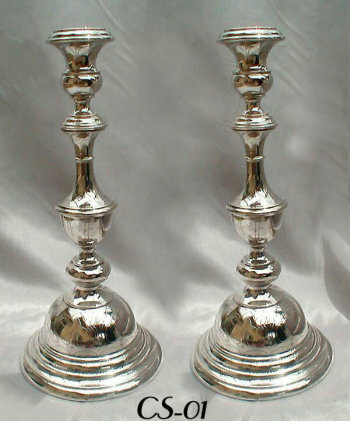 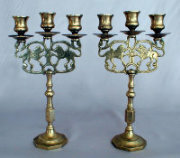 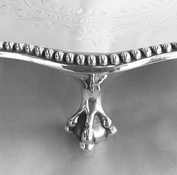 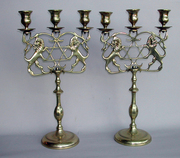 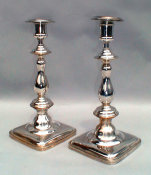 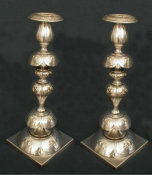 Exquisite Austro-Hungarian Silver Sabbath Candlesticks, c.1890. 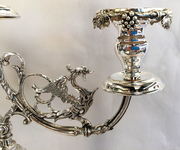 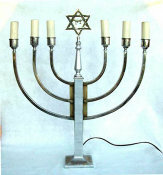 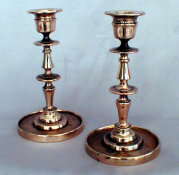 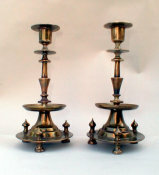 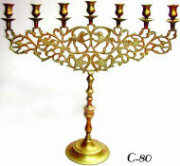 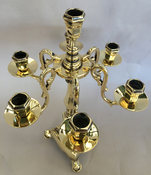 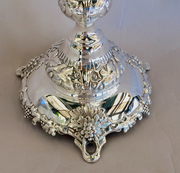 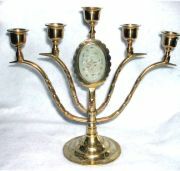 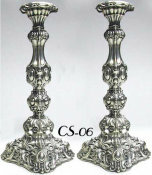 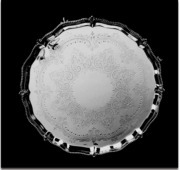 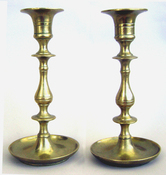 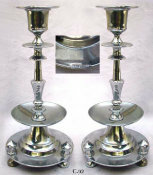 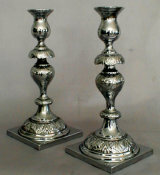 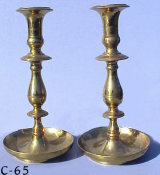 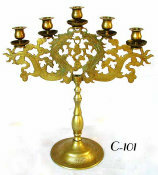 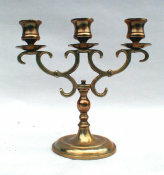 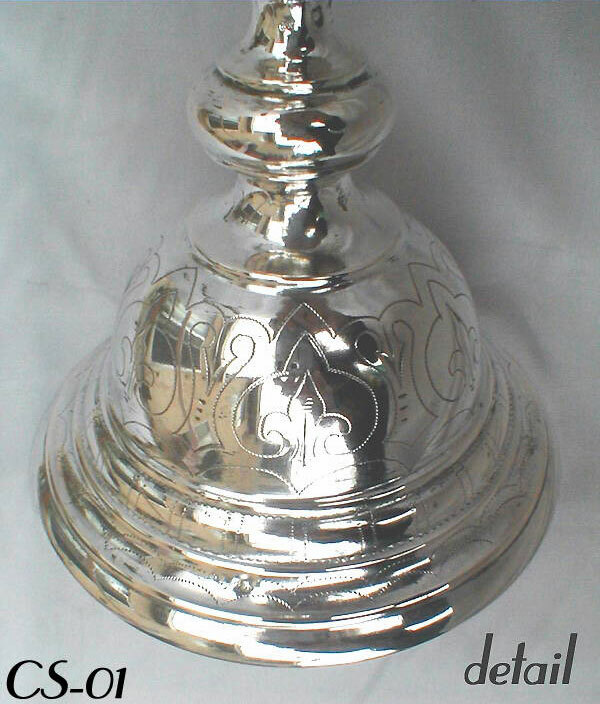 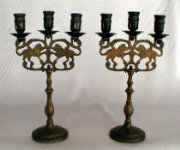 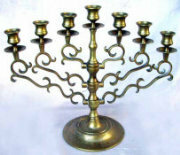 Baluster stem rises from dominant bell shaped circular base surmounted by shaped candle holders. 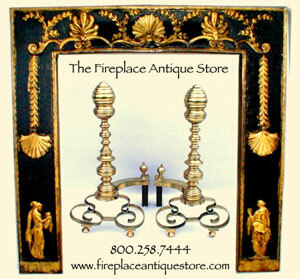 Detailed with delicate and fine folkloric zipper cut engraving reminiscent of Czech embroidery of the period.